From cutting boards to curling irons, there’s no end to the stuff in your home that could use a good clean. But who has the time to research every little tip and technique? 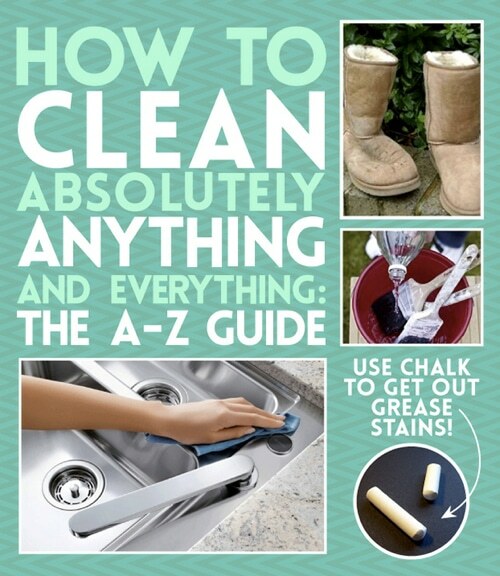 In this post you find dozens of cleaning tips to clean almost everything you can think of. From granite counters to Kool-Aid stains, you’ll find the answers you need right here.